Weekend brunches and afternoon tea get togethers are my favorite things to do with friends. I spent the Chinese New Year holiday doing just that. Some girlfriends and I headed over to the much hyped TWG Tea Salon & Boutique at Marina Bay Sands for some chit chat over high tea. I have been a fan of TWG tea bags for some time now, but I've never actually had the chance to eat in the restaurant til now. I had the Chic Tea Set worth SGD 32.00. This comes with a selection of sandwiches, tea, scones, and muffins. You are given a choice of different sets of sandwiches. I chose the Imperial Set, which had 3 finger sandwiches of Foie Gras, Cucumber with cream cheese infused with Earl Grey Fortune, and Chicken with Comptoir de Indes Tea infused with crème fraîche. The Foie Gras sandwich was brilliant. The buttery smooth texture and rich flavor of the foie gras complemented the bread really well and just melts in your mouth. I'm glad I saved that sandwich for last amongst the three. For my tea, I chose something that was chocolate and mint infused. I forgot the name, but I really loved the aroma and overall flavor of cocoa on my tea. 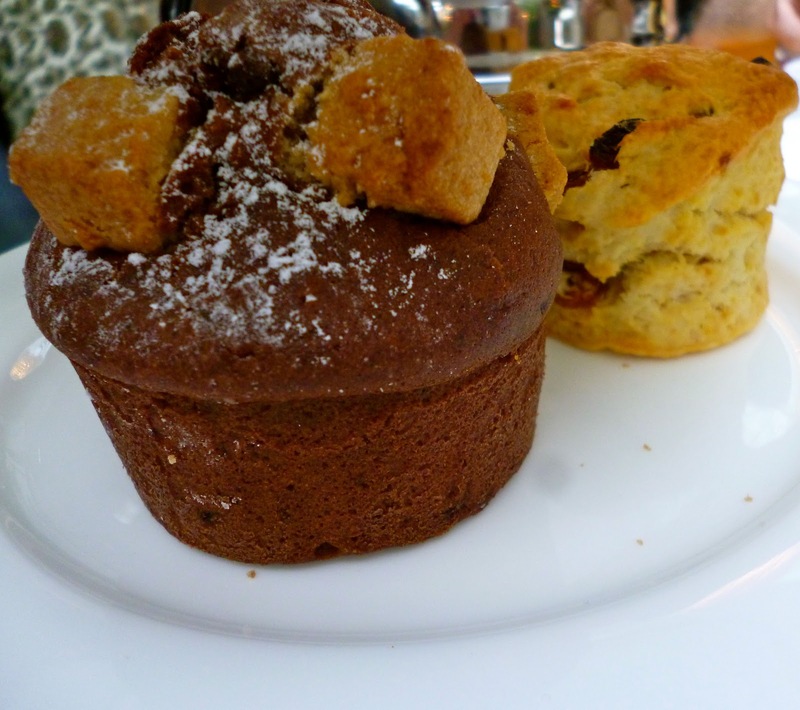 There is also a choice of 2 freshly baked scones or muffins. And since I couldn't decide between the two, I got one of each. This is served with TWG tea jelly and whipped cream. The muffin was an ordinary chocolate muffin- okay but nothing fantastic. The scone on the other hand was just heavenly. The fancy tea jelly was a perfect accompaniment to the scone, and I was savoring each bite of the warm bread spread with this jelly. 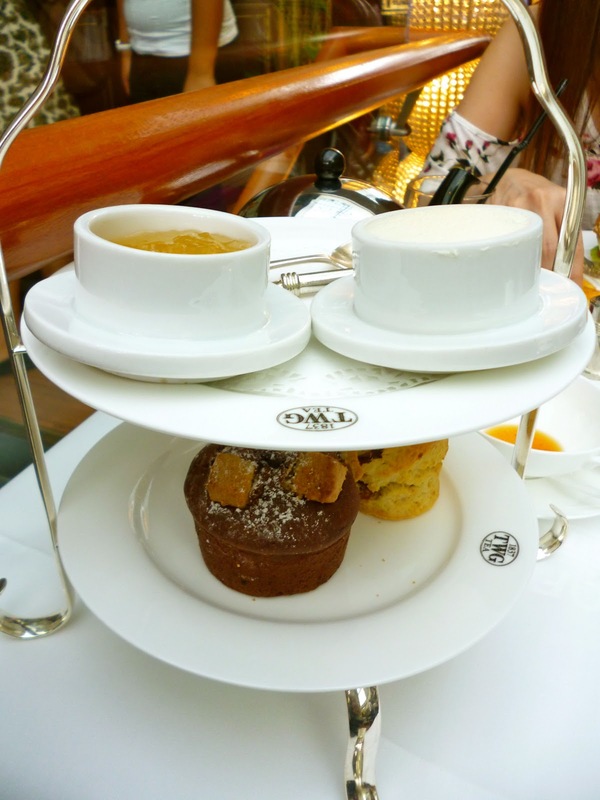 I'm glad the tea set I tried at TWG lived up to the hype and did not disappoint. Service was good and the atmosphere is lovely for high tea. My only complaint however is that I thought the tables were on the small side, and we therefore had difficulty maneuvering around our tea pots in the crowded table. 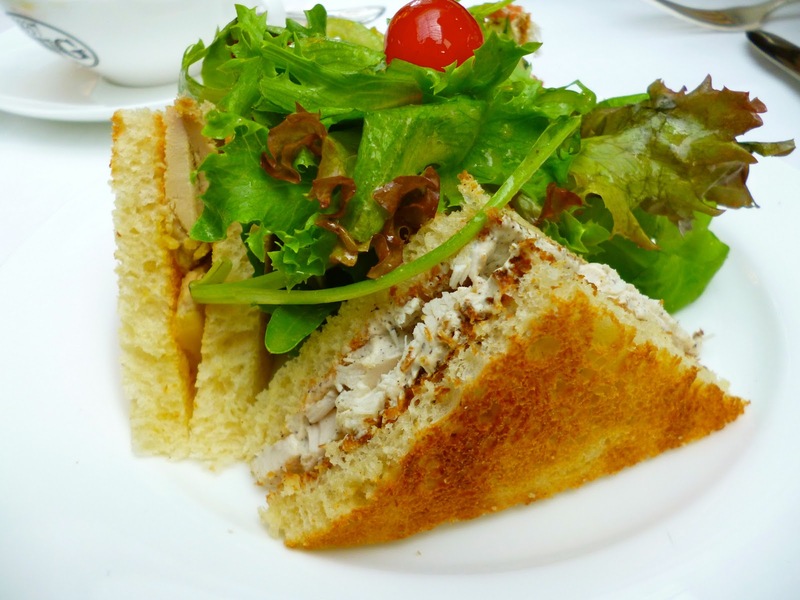 I will of course still make a return trip for that foie gras sandwich and more of those scones. For my readers living in the Philippines, TWG Tea is now available in Manila and distributed by Manila Global Brand. Thanks for the reco! Will give that a try next time I'm back. 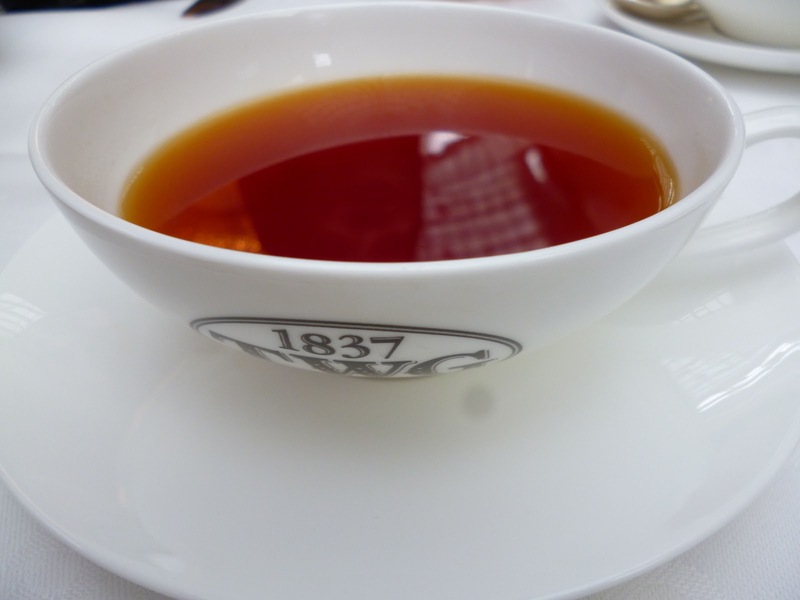 Can you recommend some TWG teabags flavours? Thanks!